At Discovery Point, we focus on fostering this atmosphere and ensuring that each curriculum is appropriate to the stages of a child’s development. Our classrooms reflect these stages, and we encourage a seamless transition from one classroom to another by gradually familiarizing children with their new teachers and surroundings. Most importantly, classrooms are optimized for each age group based on 6-month increments. This unique feature means that each child’s surroundings are ideally suited for his or her age. 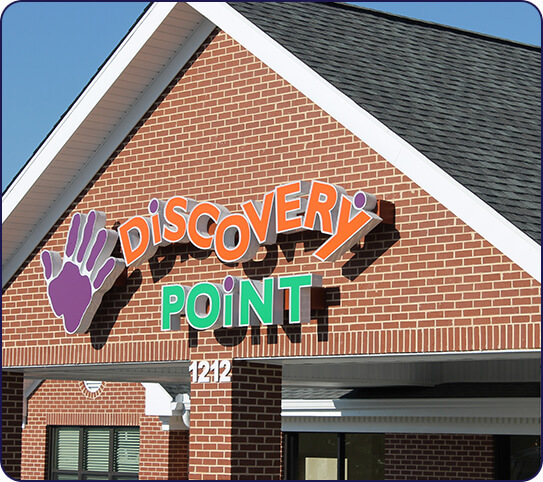 We at Discovery Point are committed to helping parents and children build a strong foundation for the future. Through continuous assessments, we are able to ensure that each child’s needs are being met in a way that fits their individual stage of development. By offering a comprehensive range of programs focused on fun, learning, and social skills, we address every important aspect of early child development. Our goal is to provide a truly holistic experience for both parents and children at our child development centers. We use a nationally-recognized and research-based curriculum to give children at our daycare the groundwork they need for future success in all areas of life.